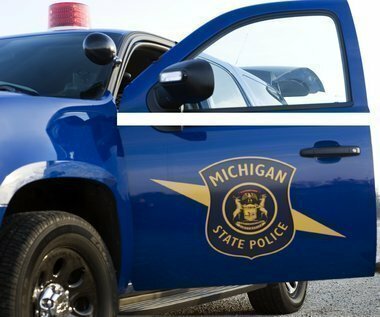 The Michigan State Police Jackson post provided the following log of activities for the weekend of July 21 to July 23 with troopers investigating 70 incidents and calls for service. Possession with Intent to Deliver / Operating While Impaired: Jackson County, Blackman Township: Troopers conducted a traffic stop on a vehicle driving erratically. Upon contact the driver, a 25-year-old male from Eaton Rapids, was found operating while in possession of drugs, with intent to deliver, operating and maintaining a methamphetamine laboratory, and driving while under the influence of marijuana. The suspect was arrested and lodged at the Jackson County Jail. Operating While Impaired: Jackson County, City of Jackson: Troopers conducted a traffic stop on a vehicle for a defective exhaust. Upon contact the driver, a 24-year-old male from Waldron, was found to be operating under the influence of alcohol. The suspect was arrested and lodged at the Hillsdale County Jail. New Illinois Supreme Court Case – The HGN Test Is Not All It’s Been Touted to Be:The Supreme Court of Illinois in The People of the State of Illinois v. Joanne Mckown last week issued an opinion regarding the Horizontal Gaze Nystagmus (HGN) field sobriety test and made some remarkable findings. First, the Court held that the HGN test can not be used to show actual loss of the normal use of mental or physical faculties, but instead, can only be used to show that a “defendant may have consumed alcohol and may, as a result, be impaired.” There is no more of this, “they failed the HGN so they are therefore intoxicated” arguments.Second, the Court held that just because a scientific test is regularly relied upon in law enforcement does not make it admissible in court. The test is whether the particular test is relied upon in the scientific community, not the law enforcement community. Third, just because a test meets the standards for admissibility under Frye, that does not preclude the trial court from conducting a balancing test and deem the evidence “inadmissible on grounds of undue prejudice.”Finally, the Court held that the test must strictly comply with the NHTSA standards for performing the test. This means the cops aren’t going to be allowed to come in a testify, “I did it the way I was trained to do it.” They are going to be held to the standard of the NHTSA.Here’s hoping the Texas Court of Criminal Appeals will at least read this opinion. Even more importantly, here’s hoping that the trial courts in Texas will read the case and understand that they truly are gatekeepers for the admission of evidence. How long can police detain me for a traffic stop? Consider a hypothetical: a police officer stops you for a minor traffic violation or suspicion of an Oklahoma DUI charge. He goes through the usual routine of checking your driver’s license, vehicle registration and proof of insurance, and they all check out. He writes you a warning about the traffic infraction. You think that the encounter is over, and want to get on your way. But for some reason, the officer does not seem to want to let the matter rest. Next he asks you for permission to walk a drug sniffer dog around your vehicle. You refuse to give permission, and the officer refuses to let you leave. Backup arrives. The officer does the dog pass around your car anyway, and the dog alerts to the presence of an illegal drug. You are arrested on charges for drug possession.You ask yourself: was it reasonable for the officer to continue the traffic stop once he issued the warning? How long is too long to conduct a routine traffic stop?Interestingly, earlier this year the U.S. Supreme Court examined this very issue, and its conclusion may make a significant difference in how police perform traffic stops in Oklahoma and other states.The above hypothetical is not just a thought experiment. It really happened to a driver in another state. The driver argued that prolonging the traffic stop without any basis in reasonable suspicion violated his constitutional rights and that accordingly the drug evidence should be suppressed. The prosecution countered that the added time – seven to eight minutes – represented only a “de minimis” intrusion on the driver’s personal liberty and was therefore acceptable. The trial court sided with the prosecution, as did the Court of Appeals. For its part, however, the US Supreme Court disagreed. In an opinion that found support from both its conservative and liberal Justices, it ruled that unless reasonable suspicion exists for the officer to do a drug search, including a dog sniff, he or she cannot extend a traffic stop to search for drugs in your car. The officer can stop you long enough to complete the “mission” of the traffic stop – for example, to issue you a ticket or warning for the original reason for stopping you – but then must let you go without prolonging the stop in the hope that a dog sniff of your vehicle might turn up something. The Court also disagreed with the prosecution’s argument that if the officer conducting the traffic stop does it “expeditiously” that should somehow grant additional time for a drug search. In short, performing a dog sniff test is beyond the scope of the mission of a vehicle stop based on a traffic violation, meaning that the Fourth Amendment to the U.S. Constitution cannot countenance absent grounds for reasonable suspicion for a search. If you are held longer than you believe is reasonable for a traffic stop, and police use that extra time to do a drug search of your vehicle, you should inform your defense attorney of this – it might make the difference between being convicted of an offense or not. As a Maryland DUI/DWI Attorney I am frequently asked by friends and acquaintences whether they should take the breathalyzer if they are stopped for suspicion of Driving Under the Influence . This question is almost invariably followed by the statement, “because I have always heard that you should never take it”. As most people are aware, significant changes have been made to the law regarding Driving Under the Influence over the past 20 years. For instance, 20 years ago the legal limit was a BAC of .12 as opposed to .08 today for Driving Under the Influence. In those days judges were also far more likely to give a well represented defendant the benefit of the doubt in cases where there was no breathalyzer. The administrative sanctions imposed by the MVA for refusing the breathalyzer were also far less severe than they are today. The bottom line was in those days not taking the breathalyzer gave you a better shot at being found not guilty in criminal court and did not subject you to extreme administrative penalties. It may very well have been sound legal advice to advise people to never take the breathalyzer before these changes. Today, the police are trained much better than they were in the past and know how to observe and explain a suspects intoxicated behavior in language that is persuasive to judges and juries in most cases. Laws have also been changed to aid prosecutions in which the breathalyzer was not taken. For instance, it used to be the case that the State was not even allowed to mention the fact that a test was not taken to the judge or the jury. Today, they are allowed to argue to the judge or jury that they should draw a negative inference from the defendant’s refusal to submit to the breathalyzer. In recent years judges have also been trained, and some my say also cajoled by groups such as MADD, into being much more likely to convict without the benefit of the test. Finally the administrative penalties are much harsher today than in the past. Today for a first refusal there is a mandatory suspension of 120 days. A second or subsequent refusal requires a suspension of a year. There is no provision for a work restricted license such as there is when the test is taken. The only way around the suspension is to participate in the interlock program for a year. Unfortunately, the decision as to whether to take the test was further complicated a few years ago when the legislature changed the law to increase the adminstrative sactions for readings of .15 or greater. These higher readings now require a 90 days suspension that, like the refusal, may not be modified unless the person participates in the interlock program.